Matt Neuburg recommends Default Folder X in his new eBook “Take Control of Exploring & Customizing Snow Leopard”. 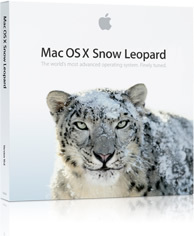 More importantly, Matt’s eBook and the companion “Take Control of Upgrading to Snow Leopard” offer great recommendations on safely upgrading to Snow Leopard, what’s new and interesting in the new OS revision, and how to get the most out of it. I highly recommend them – I’ve learned some new stuff myself thanks to Take Control Ebooks. 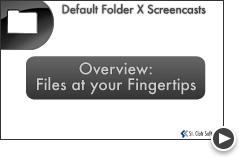 I’ve added a new Overview screencast to the screencasts page. I kept it focused on the efficiency side of Default Folder X, so it doesn’t highlight all of the features. I felt it was important to get the primary point across and not get lost in the details. I’m interested to hear your opinions – particularly whether the focus is right (getting to your files vs. details like rebound, tagging, etc).